I have to say that this is a recipe that was handed down to me by my mother, from her mother’s sister, so the original recipe did not contain wine. That being said, it wasn’t hard to add a splash of wine so I could include this delicious pie on my blog. It’s simple, yet elegant… and one that most everyone in our family loves to have as the sweet ending to a meal. It’s definitely not a “low cal” sort of dessert, but it could be made a bit lighter if you’re inclined to tweak things here and there. For me, it’ll all about recreating a beloved dessert, so I don’t adjust it too much. This pie has been on our Easter table for years… it’s also a fabulous addition to any picnic or family gathering. You can substitute fresh fruit for the pie filling if you prefer…. it’s all about making something that your own family will love. Traditional or not, making food for those you love is the whole idea. Enjoy! 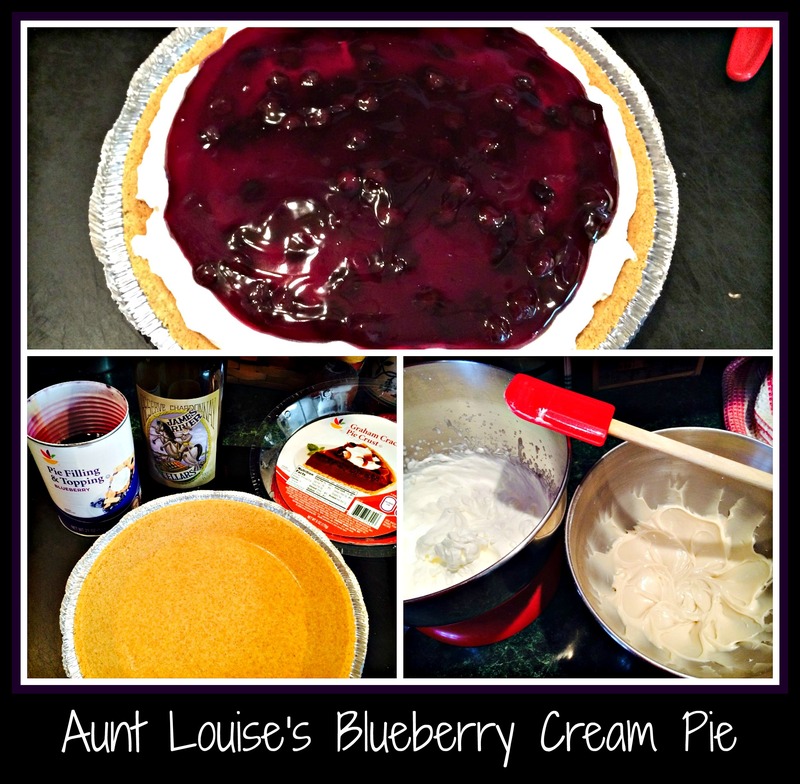 This entry was posted in cooking with wine, desserts, easy recipe, white wine and tagged blueberry, dessert, easy recipe, pie, white wine.